Order by 2:00 PM PST M-F and we’ll ship your order the same day. Domani Architecture has designed some of California's most exciting recent residential projects, and they've never wanted to show plans and renderings in ways that are not equally exciting. 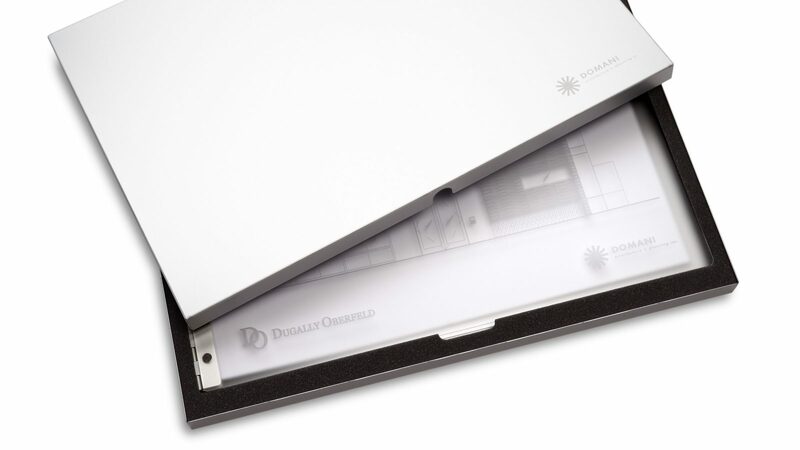 For this recent project, we built a custom aluminum box and acrylic book set with a foam insert. All of our products are made in the USA and are 100% quality-guaranteed. With a huge inventory of ready-to-customize products, we ship fast — with free ground shipping on orders over $250! © 2019 Pina Zangaro. All rights reserved.